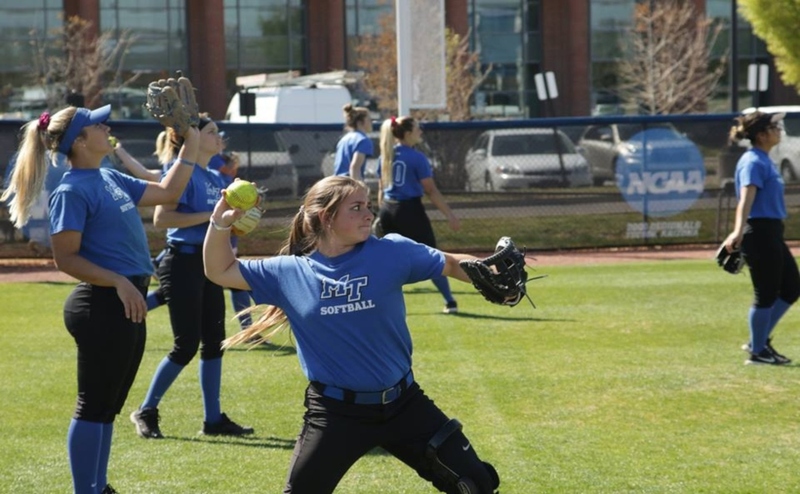 The Middle Tennessee Blue Raider softball were in action on Wednesday in a make up double header against the University of Alabama-Birmingham, falling in game one by a final of 3-1 and winning in game two by a score of 4-2. Both teams entered this match-up with different streaks of their own, with the Blazers coming into Murfreesboro as winners of their last three games. 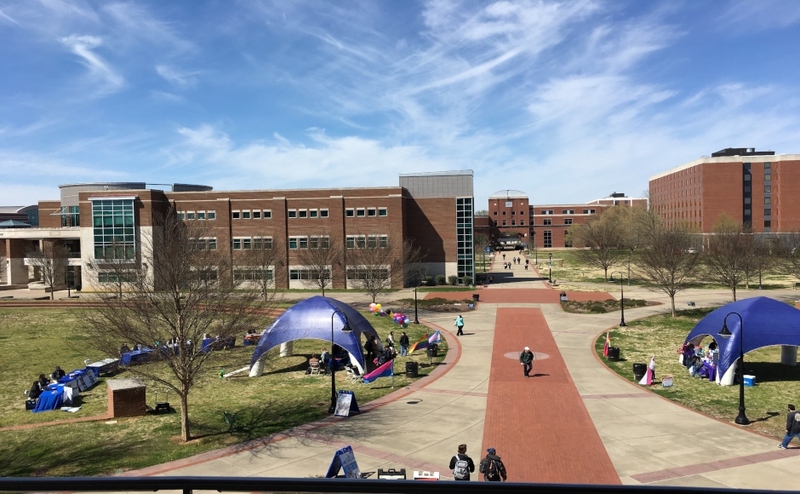 On the home side of the field, the Blue Raiders had lost their last three and needed to win the remaining five games to have a chance to sneak into the Conference USA Tournament. The Blue Raiders turned to ace junior Cori Jennings in game one and once again, she did not disappoint. Jennings threw six innings, allowing two runs (zero earned) off five hits. Cruising through the first six innings, Jennings ran into trouble and was unable to finish the final frame. 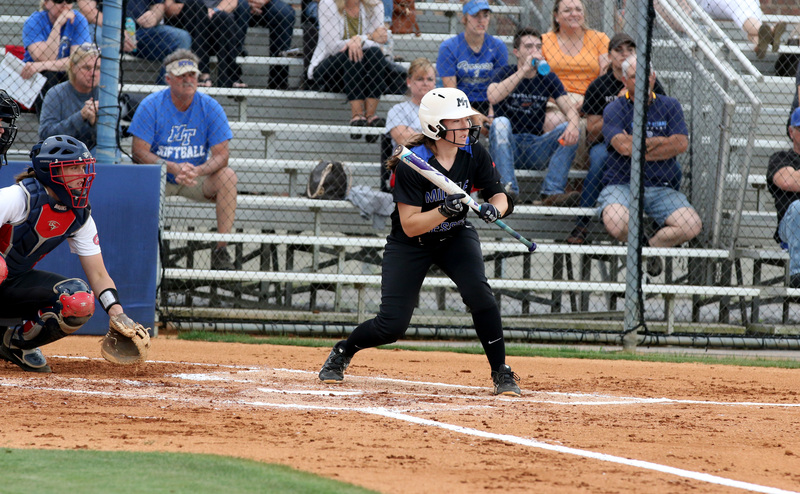 Junior Gretchen Greer came in to relieve her and after retiring the first batter she faced, gave up the game-winning three-run home run to the Blazers’ designated hitter Mary Warren to put the Blue Raiders in a late 3-0 hole. Sophomore Dani Munoz hit a pinch-hit solo homer to get MT on the board, but it wasn’t enough and the Blue Raiders fell by a final score of 3-1. The middle infield for the Blue Raiders made costly errors late in the game to cause UAB to get the lead. The first error was committed in the second on a grounder by Austyn Whaley, although no runs came off the error. The other two came in the top of the seventh by Summer Burgess, the first of which allowed the lead-off hitter to reach base. On the next batter, she committed a throwing error that put runners at second and third with no one out. If only one of those errors had not happened, the Blue Raiders would’ve had a much better chance to get out of the inning unscathed. For game two, the Blue Raiders sent senior Megan Chocallo to the circle for final home start of her career. Chocallo and fellow senior Lauren Payne both played in their final home game in a Blue Raider uniform, and both shined in different ways. Chocallo pitched 5.2 innings and allowed two runs off eight hits and struck out two. Despite having an earned run average below two for most of the season, this was her first win of the season and she praises the defense for it. Payne had one of her best outings of the year, going 2-for-3 with two singles and a run scored. Middle Tennessee found more success at the plate in game two, knocking twelve hits as a team. This number showed an improved focus from the team, as they tripled their game one total of only four hits. Payne believes that at the end of the season, MT has formulated a routine going into the final series. Going into the final series, Breeden believes that his team needs a solid, all-around performance as a unit to finish the season strong. The Blue Raiders will travel to Charlotte, North Carolina for the final series of the regular season against the Charlotte 49ers. The three-game set will kick off on Saturday with a double-header beginning at noon, followed by the season finale on Sunday at 11 a.m.